Living Beyond the Limits: A Life in Sync With God God wants you to experience life to its fullest…but rather than experiencing peace, joy, and excitement, maybe hints of emptiness, boredom, and frustration nag at you. Maybe you find yourself asking, "Is this all that life has to offer?" 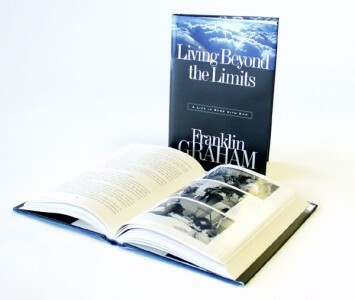 In Living Beyond the Limits, Franklin Graham focuses on God’s principles and promises essential to a full life. He relates real-life examples of men and women who have put God’s Word in to practice under some of the most challenging circumstances imaginable. You’ll be amazed by their stories. You’ll also be stirred and challenged as never before.